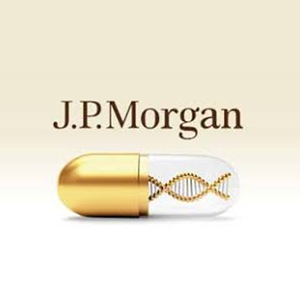 This year, the J.P. Morgan Healthcare Conference, held in San Francisco, California, from January 7-10, 2019, had unique implications for Yeshiva University students interested in careers in healthcare and pharma—especially those in the Biotech Management and Entrepreneurship Program. Keynote speakers included Jamie Dimon, Chairman and Chief Executive Officer of JPMorgan Chase & Co., and Scott Gottblieb, Commissioner of the Food and Drug Administration (FDA). Their presentations and discussions in general underscored how today’s healthcare leaders need a strategic understanding of the dynamic and complex pharmaceutical ecosystem. We are in an era of unprecedented advances in diagnostics and treatment, spurred by the application of genomics and the promise of precision medicine. Globally, what is known as the “Triple Aim” in healthcare—increasing patient access to care, achieving better outcomes and lowering cost—is more important than it has ever been. We are being challenged as an industry on applying big data and analytics, including machine learning and AI technology, to move the needle on care and cure. Biotech professionals should know how to apply data to glean better insights and drive improved decision-making. They should embrace partnerships with nontraditional players, including technology companies and data-enabled patient and provider organizations. The Biotech Management and Entrepreneurship Program enables students to understand the complexity and interplay of clinical science, regulatory requirements and the application of big data and analytics to clinical research and patient care. The key theme of the conference was the value of data: developing patient data platforms and applying data to solve healthcare problems. Partnerships with patient advocacy organizations such as the Muscular Dystrophy Association are key since they have data that can be applied to advance clinical trials. The most exciting biopharma innovations are in the fields of rare diseases and precision medicine, especially cell and gene therapy for oncology and neuromuscular and ophthalmology diseases. Many of these innovations are coming out of small emerging biotech firms, with big pharma looking for deals to augment their rare disease pipelines. Uncertainty about United States/China trade disputes and the government shutdown in the United States affected funds from China as well as activities by the Securities and Exchange Commission and the Federal Trade Commission, slowing down 198B deal flow this month. FDA efficiency is on the rise with implementation of the 21st Century Cures Act (signed into law on December 13, 2016): 59 new drug applications, including 33 in rare diseases. Pharma companies are exploring new pricing models, especially for cell and gene therapy, acknowledging the need to understand durability of response and to compare cure rates to treatment. Big pharma is using portfolio optimization and capital raising to target eager private equity and strategic buyers to spur innovation. Digital adoption among pharma is on the rise. Pharma is increasingly using digital technology for clinical recruitment, patient monitoring and even dermatology and Alzheimer’s therapeutics. Megamergers are likely to continue at one to two per year, driven by portfolio consolidation synergies. The manufacturing presence at the conference was the strongest in years, due to the role of manufacturing in cell and gene therapy technologies.